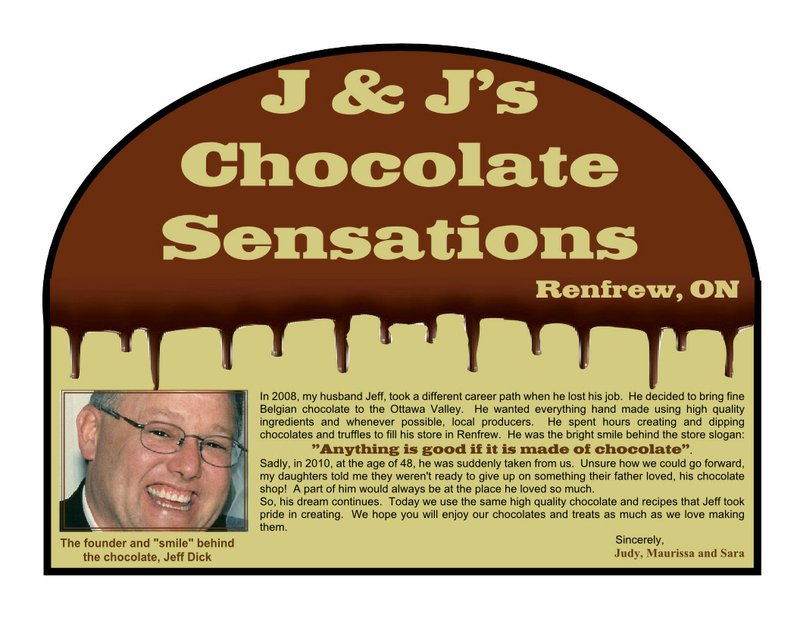 Welcome to J & J's Chocolate Sensations! Similar to a traditional nanaimo square, but with a raspberry filling added. 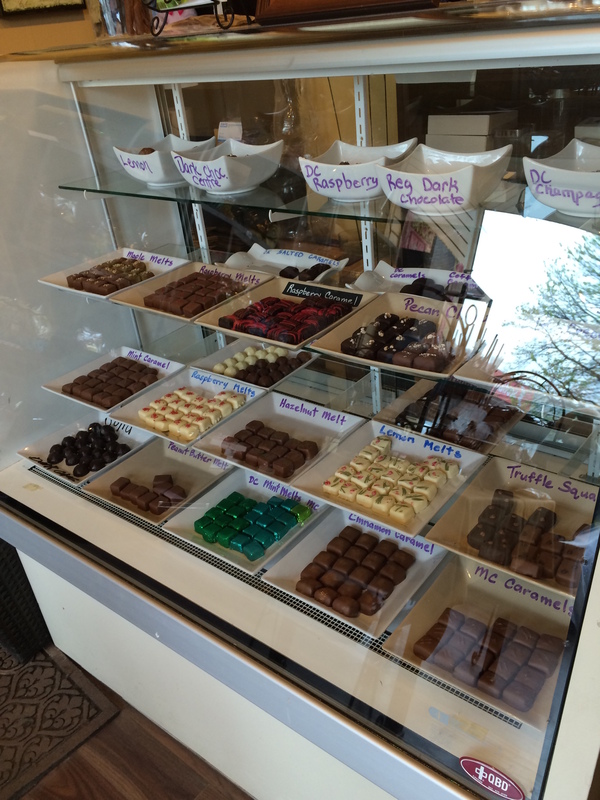 At J & J's Chocolate Sensations, our goal is to produce fine chocolate products made with high quality ingredients. We use superior quality chocolate which is available in white, dark, milk and no sugar added. Our caramels, chocolate centers and truffles are all made in small quantities using fresh cream, butter and natural flavourings. And all our chocolates are hand dipped. 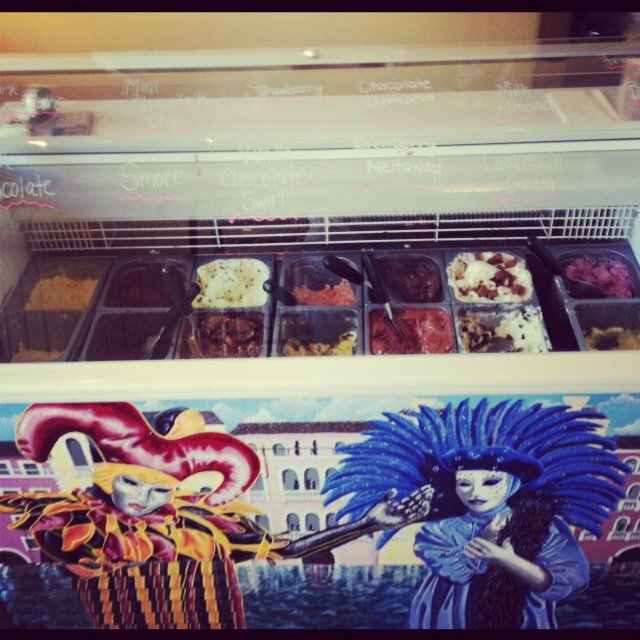 This is our gelato freezer - it's hand painted and it came all the way from Italy! "Best Chocolate Shop" and "Gift Basket"